It has been years since the family went out of the country for a holiday. My husband and I are planning and talking about on a wonderful trip that would be truly enjoyable for the whole family. Greece is the family’s choice for vacation. As we are a family of four, we need to tighten up our belt to save enough money for us to make the most of our time abroad. 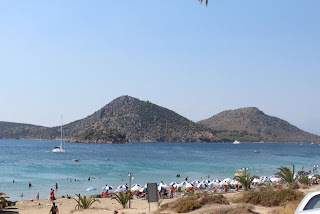 While I was searching for websites on online bookings, I found a fantastic all inclusive holidays to Greece which I think is cheaper and practical to purchase. Getting more for less is a great deal to save time and price easy on the pocket. The excellent all inclusive holiday will render a stress-free holiday for we won’t be worrying for budget shortage so we can relax knowing that everything is already taken cared of in advance of our departure. · Take pleasure in the splendid Greek resorts of Crete or Corfu, enjoying the water sports activities or just merely basking in the sun and wandering around. · View, feel and commune in spirit with the Greek Gods of the famous Greek mythology in the picturesque Mount Olympus. My youngest son will surely be very happy to see mount Olympus as he has been reading a lot about Greek mythology. · Enjoy the sight of the beautiful sceneries and parks like the Athens National Garden. · Witness personally the art and architectural ruins of the ancient temples. · See the relics and archaeological artifacts in the museums. · Have fun in more activities including amusement and entertainment. With the numerous plans of activities and places to see in Greece, definitely it will be a memory for the whole family to remember and treasure for a lifetime. greece is an interesting place to visit with its rich history and great tourist attractions. do not forget to include santorini. have seen it in few movies. I'd also love to spend time in Greece since its so rich in history from the time of the greek gods and godesses to the first olympics to Santorini and a lot more. I want to experience a holiday vacation in Greece with my family. Aside from the spectacular beaches, there are many things to love about Greece.